We leave for our Tennessee and North Carolina road trip early tomorrow morning! We have been really looking forward to this trip. With everything that has happened this year (and the trips we have had to cancel), we are so ready to relax together and see a beautiful part of the country. I’ll be snapping our trip, so follow me on SnapChat (SiberianOlya) if you are interested! We were worried that we wouldn’t see any fall color since the only time Chris could get off is early in the season, but I checked a park camera today and did see a little color! I know it won’t be the spectacular fall foliage that happens later in the month, but I will take what we can get! Christopher’s schedule is slowly getting harder and harder, so we are taking advantage of the time we do have together. 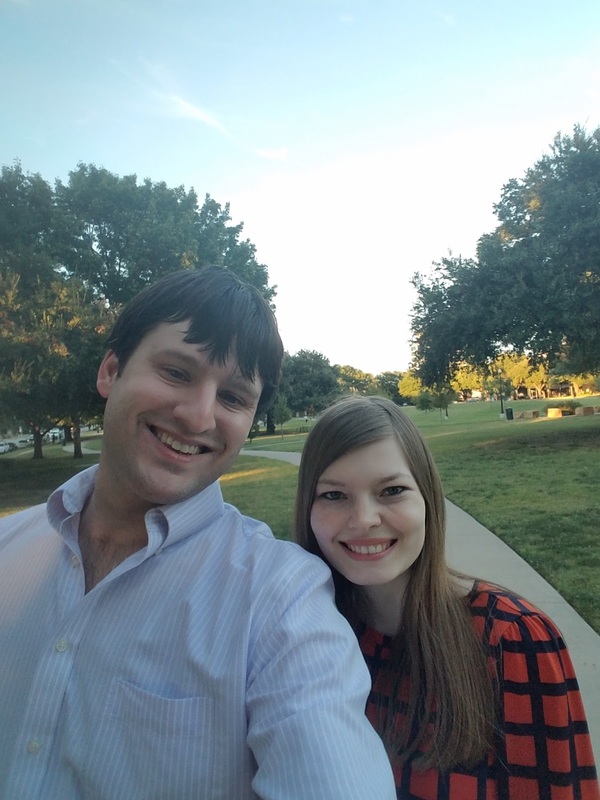 Now that the weather is cooler, we love walking to dinner dates at places close to us or if he gets home late, we spend a longer time walking the dog. It’s been so nice to make time once a week to hang out together while it’s still possible. Speaking of possible, I was worried we wouldn’t make it to the State Fair of Texas this year because of our trip. Chris had to switch the weekends he works to make the trip happen, and I figured getting out of town was more important than the fair. It turns out, though, that Chris is only working till noon on the last weekend of the fair, so we are going on a double date! I’m so excited it worked out since I know the next few years will be tougher. I talked about it a bit in my Currently post, but after not buying anything for months, all I want to do lately is shop. I think knowing it’s fall and it being my favorite season for clothes, I want everything I see. Plus, there have been some amazing sales lately! Anyways, I am trying hard to put myself on another spending freeze until Black Friday, but who knows if I stick to it. When I wrote my post on five reasons I love fall, I didn’t mention the food. I love that it is finally cool enough in Texas to eat soup and chili. We had chili this week, and I basically want to eat it every day now. (If you are interested in our favorite chili recipe and other fall favorite, check out last year’s post). Have fun on your trip! Tennessee is beautiful! Have a blast on your trip! Safe travels! Have a great time on your trip! Can't wait to see all the snaps. Yay for the TX State Fair! Have a great trip! Can't wait to see snaps! Have a fun trip!! I bet you'll see plenty of foliage and colors! (Fingers crossed!) We had chili this week for the first time this season and it was delish! A lot of friends have been in gatlinburg last week & things are beautiful down there right now. Have so much fun girl, even though the colors won't be fully changing, good that some of it will be different for y'all! Yay for the state fair, I totally need to plan to go next year!! YAY!! Have so much fun! I look forward to hearing all about it! Have the best time ever on your trip! I can't wait to see pictures!! Have an amazing trip and enjoy every minute! I can't wait to see pictures - I've been wanting to go to Tennessee for awhile! That's great that you are going to get to the fair! And so great that you will see some fall colors! That's always the best! Yay for a road trip!! Hope you guys have a wonderful time! Hurrah!! Have fun on your trip!! I do miss the mountains, so am super jealous!! So much goodness in this post! I'm loving all of your snaps so far on your trip, and I also can't wait for a full trip post! Hooray for getting to go to the State Fair, and for all the good food there, but also for all the fall food that we'll be eating there too! Tenn. and NC are right in my necks of the woods - can't wait to see where you visited! 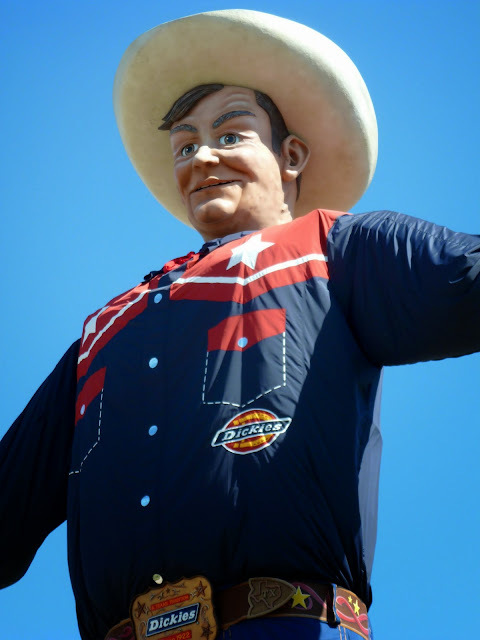 I did the Texas State Fair once and loved it - so many yummy foods to try!